Davidson Realty experienced a little March Madness with sales. We had $17 Million in sales and closings for March to kick off the spring selling season. 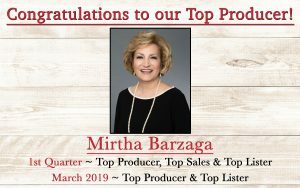 Mirtha Barzaga is our Top Producer and Top Lister for March. She is also our Top Producer, Lister and Sales agent for the first quarter. Mirtha helped 11 families move in the 1st quarter. Mirtha gives back to our community all year long and is a true professional. The Top Sales agent for March is Suzy Evans. Suzy helped 5 families with their real estate needs in March. She uses technology and knowledge of the mortgage industry to stand out in the real estate industry and take great care of her customers. As we move into the spring selling season, our Davidson Realty agents have been very busy working to help 400 families make their dreams come true in 2019 buying or selling a home. 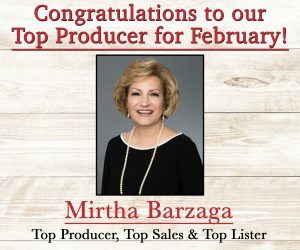 Our Top Producer, Top Lister and Top Selling Agent for February is Mirtha Barzaga. Mirtha had $1.9 Million in sales for the month. Mirtha continues to receive recognition for her great customer service. 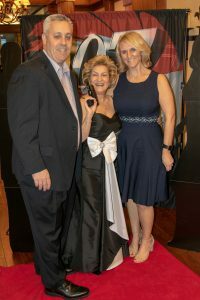 She was recently honored by the Northeast Florida Homebuilders Association at their Laurel Awards and with a 2019 Seven Star “Certificate of Excellence in Real Estate” by Broker★Agent Advisor. Davidson agent Mirtha Barzaga was recently honored with a 2019 Seven Star “Certificate of Excellence in Real Estate” by Broker★Agent Advisor. The annual recognition goes to experienced real estate agents with consistently stellar service and at least 24 annual closings (or 50+ lifetime closings). Seven Star is the program’s highest level of achievement, above Rising Star and Five Star. Davidson Realty’s Mirtha Barzaga hosted her 7th Annual Customer Appreciation Party on Saturday, February 9, at the Slammer & Squire clubhouse in World Golf Village. Mirtha invited her customers and business partners to join in the festivities. 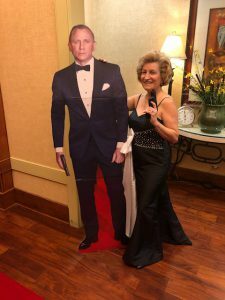 The party was set to a James Bond theme including table names like “Casino Royale” and “The Spy Who Loved Me.” Attendees were also asked to “dress to kill”. Everyone enjoyed the dinner, desserts and dancing. The Davidson Realty team is off to a great start in January! 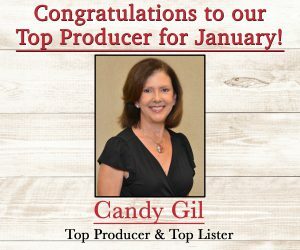 Congratulations to Candy Gil for being our Top Producer and Top Listing Agent. Candy had $900,000 in closings from the beach area to the north side of Jacksonville. She takes great care of her customers anywhere in the northeast Florida area. 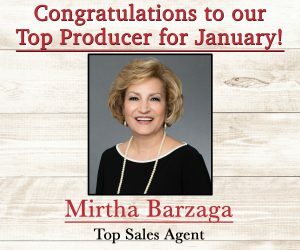 Our Top Sales Agent for the month is Mirtha Barzaga who is a consistent top producer. Mirtha helped 3 families buy or sell homes this month. 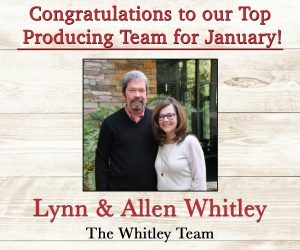 The top producing team for January is Lynn and Allen Whitley who helped 3 families close on homes in January. 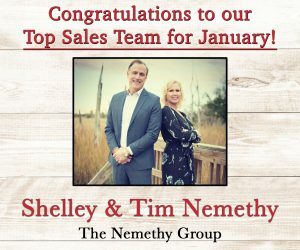 The Top Sales team for the month is Shelley and Tim Nemethy with $1.2 Million in sales. The Nemethy Group had all price ranges and locations covered just helping whoever is referred to them. 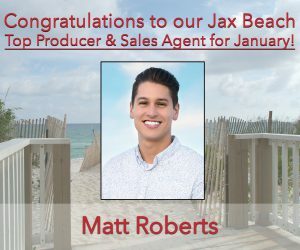 Our Jacksonville Beach Top Producer and Top Sales is Matt Roberts. Matt had 2 closings and 2 sales for the month. We are looking forward to a great 2019 and would love to help you or anyone you might refer to our awesome team.